With a strong emphasis on the development of technical innovation and design, 360 Vision Technology, the leading UK CCTV manufacturing company, has forged close working partnerships with an array of technology leaders – to enable deep systems integration into a wide range of solutions suitable for a host of surveillance applications. A long list of leading UK and international technology companies enjoy a close working relationship with 360 Vision Technology, some of whom for over 20 years. But always, the driving factor in these relationships is 360 Vision’s commitment to deliver innovative high-performance CCTV camera solutions that provide no boundaries to deployment with 3rdparty manufacturers’ equipment. Over many years, 360 Vision has developed a reputation for delivering innovation and usable functionality, such as thermal imaging camera, award-winning radar controlled video surveillance, and industry leading Sirius powerful integrated LED white light and infrared (IR) lighting. Commenting on 360 Vision’s commitment to reliability, rugged construction, and outstanding customer support, Mark Rees, ManagingDirector at 360 Vision Technology said: “Right from the design stage of any new product, our R&D team aim to ensure 360 Vision cameras are the simplest to commission and best performing in their sector. Close working partnerships with like-minded systems manufacturers helps us to achieve that goal. Working partnerships with 360 Vision enables preferred technical partners from across the security industry to have a close hand in the development of the functionality of 360 Vision’s cameras. With deep 3rdparty integration to 360 Vision’s industry leading range of cameras, end-users can be guaranteed the best possible surveillance imagery, simplest set-up and seamless, intuitive control – plus numerous desirable performance benefits. 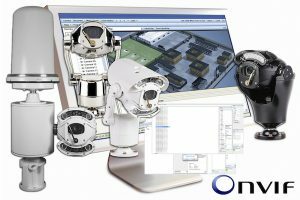 Thanks to the on-going technical partnership between 360 Vision and selected technology manufacturers, simple product set-up, deep systems integration and performance benefits are built in to varied applications and sizes of CCTV installations across the globe. Via these long term technical partnerships, 360 Vision Technology are not only ensuring installers and end-users can enjoy a fully integrated and hassle-free systems control experience, but to the wider world market, promote the benefits to be gained by specifying Best of British integrated surveillance solutions.